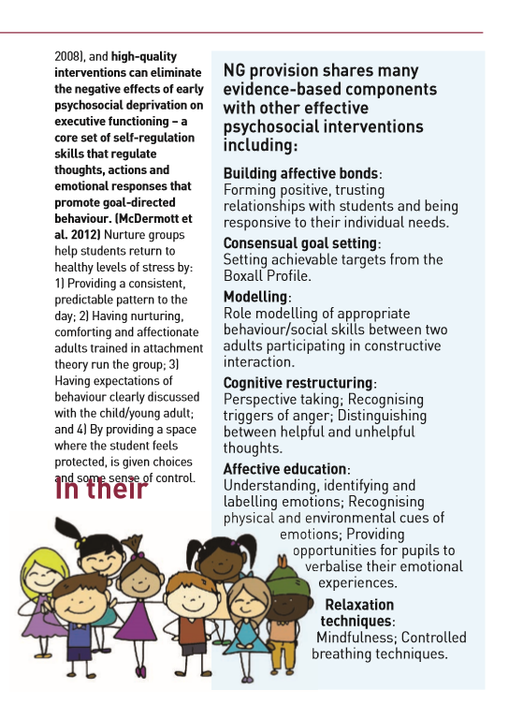 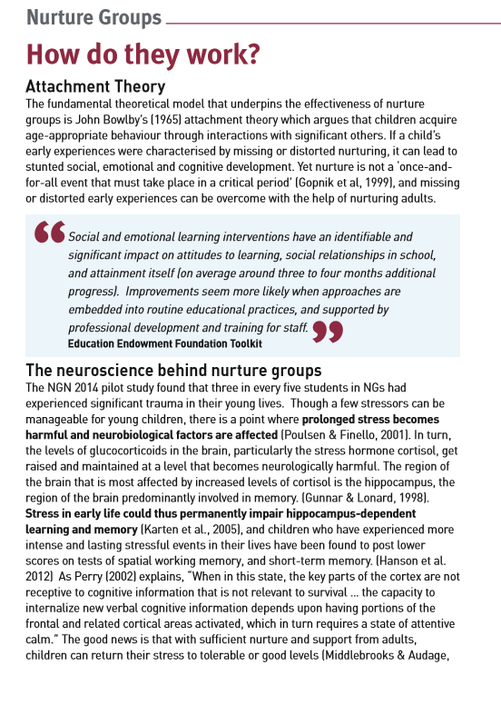 The concept of nurture highlights the importance of social environments - who you're with, and not who you're born to - and its significant influence on behaviour and cognitive ability. 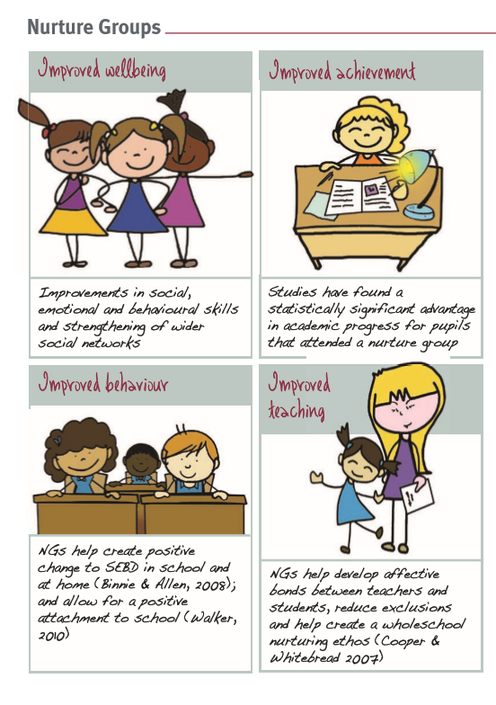 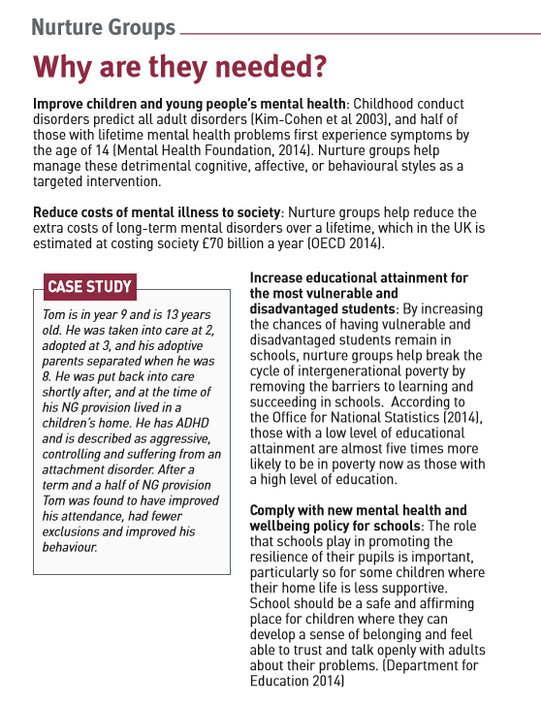 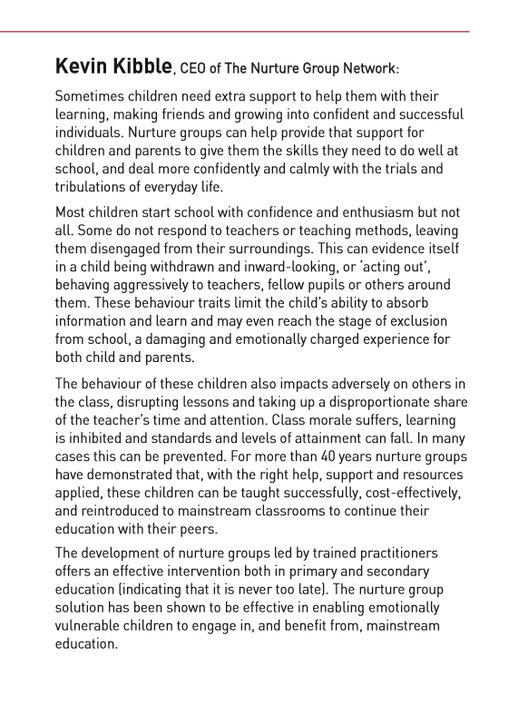 Children and young people who have a good start in life have a whole host of advantages over those who don’t have such positive experiences at home when they are little. 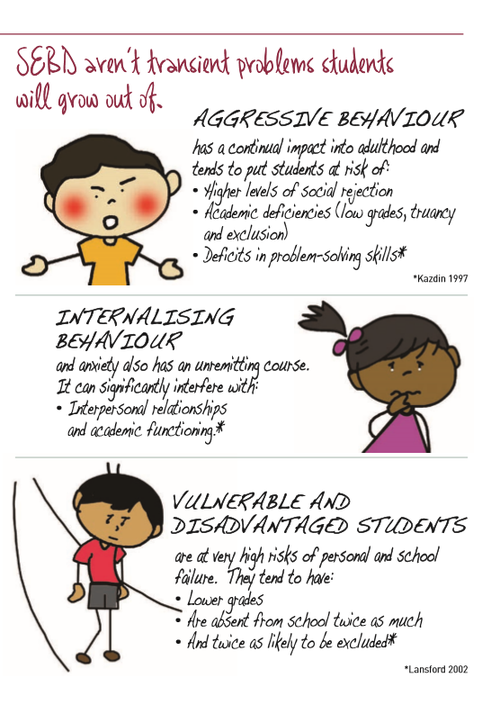 They tend to do better at school, attend regularly, enjoy activities with friends and are significantly less likely to offend or experience problems with poor physical or mental health. 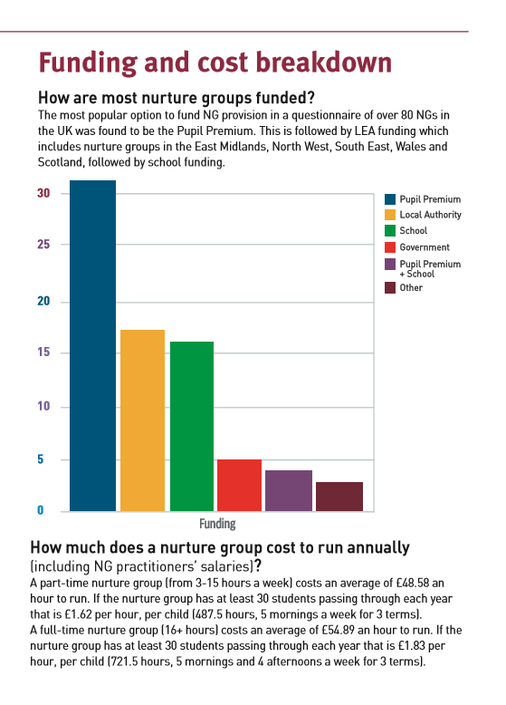 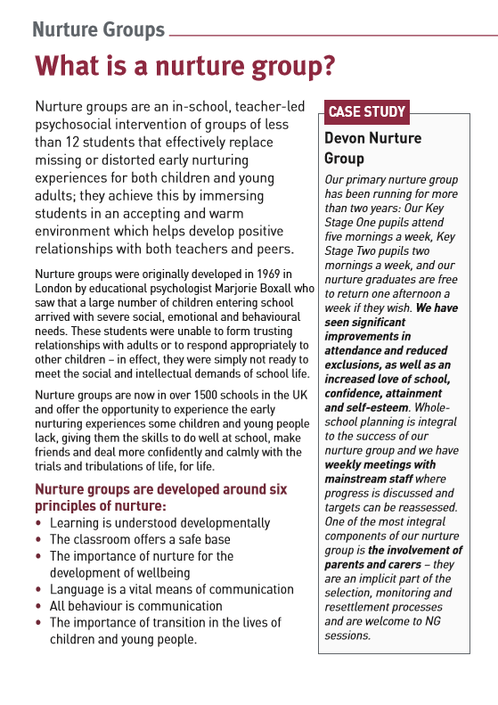 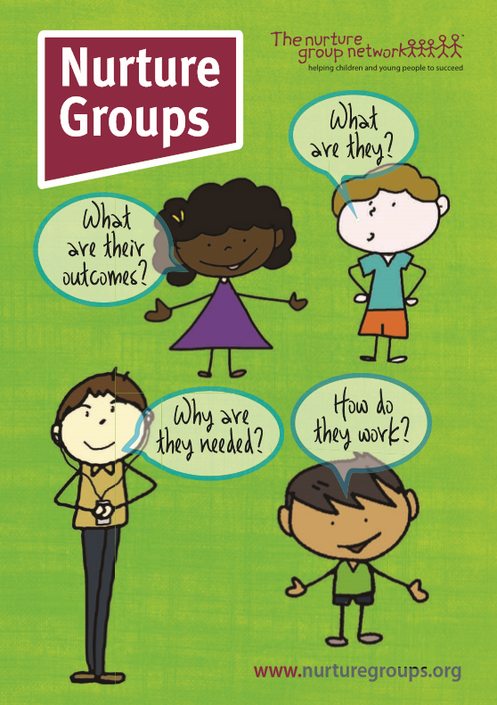 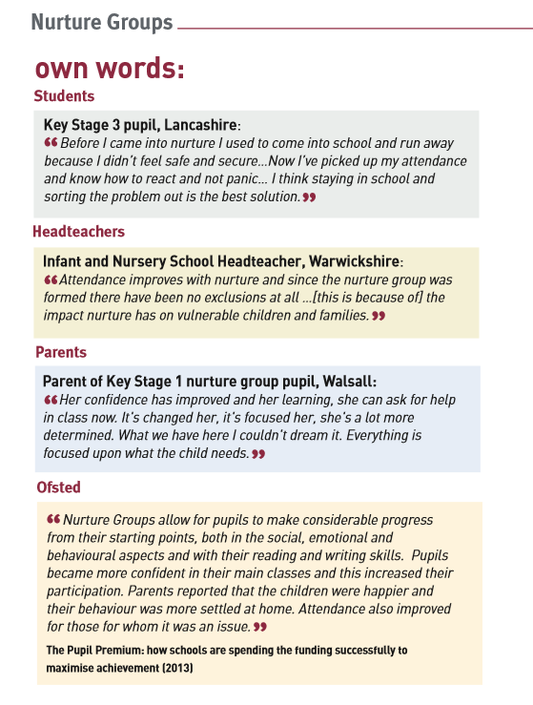 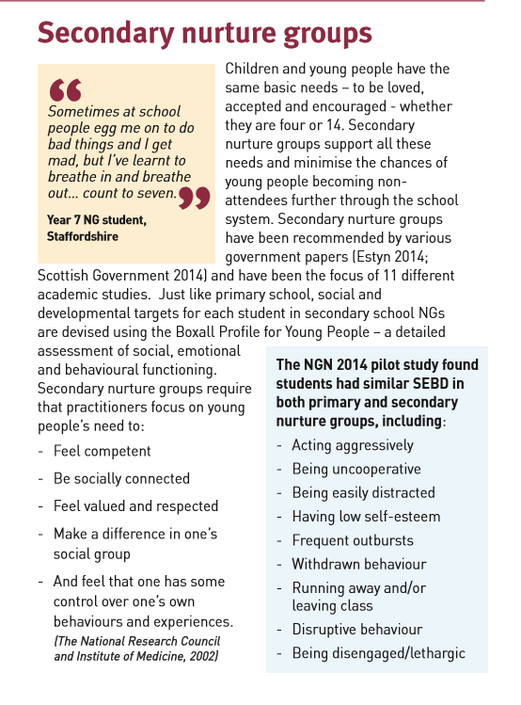 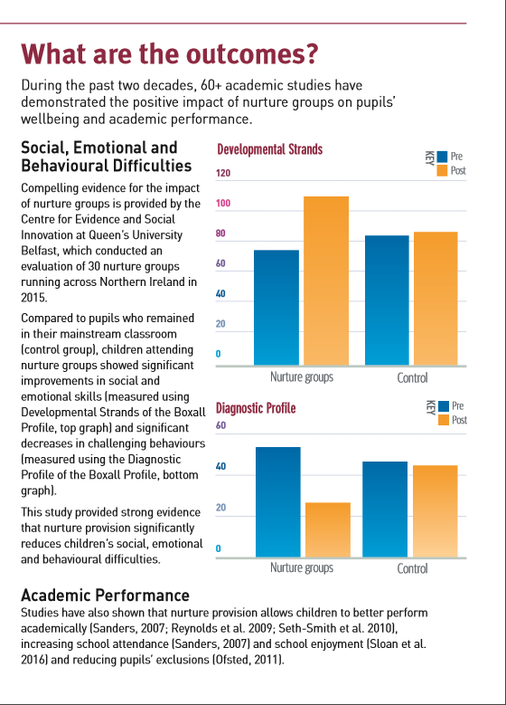 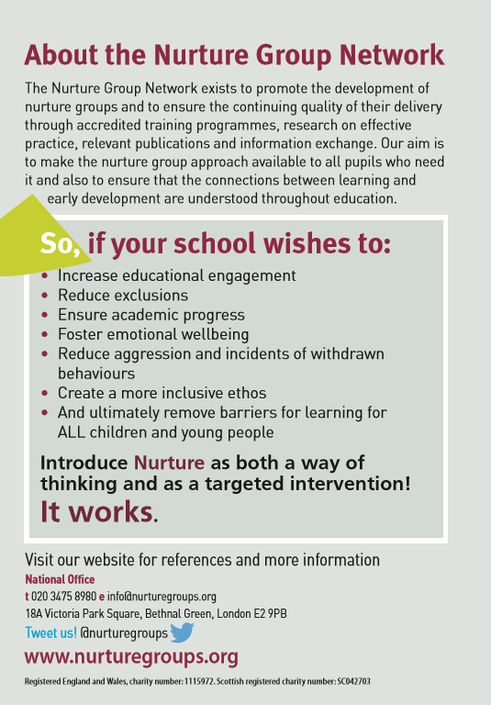 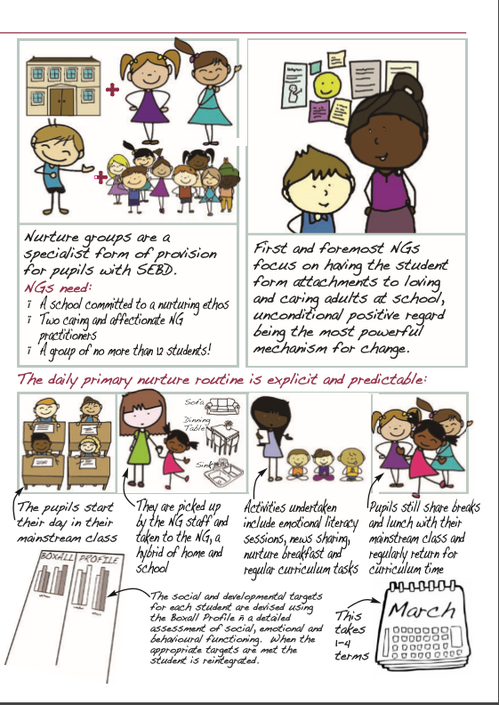 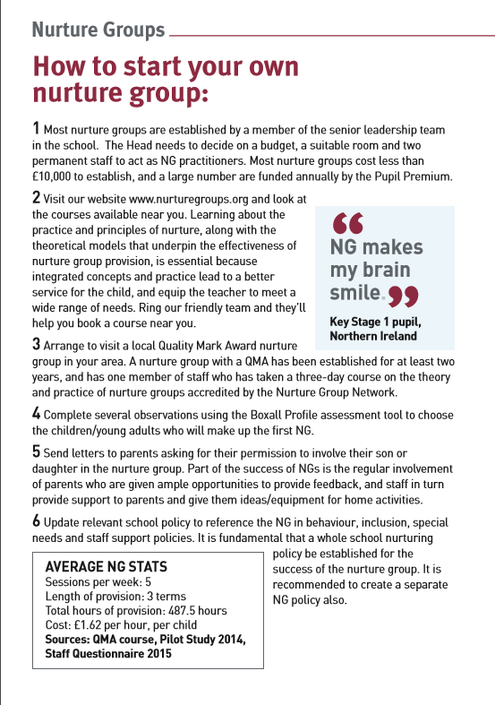 Nurture groups offer an opportunity to learn the early nurturing experiences some children and young people lack, giving them the skills to do well at school, make friends and deal more confidently and calmly with the trials and tribulations of life, for life.